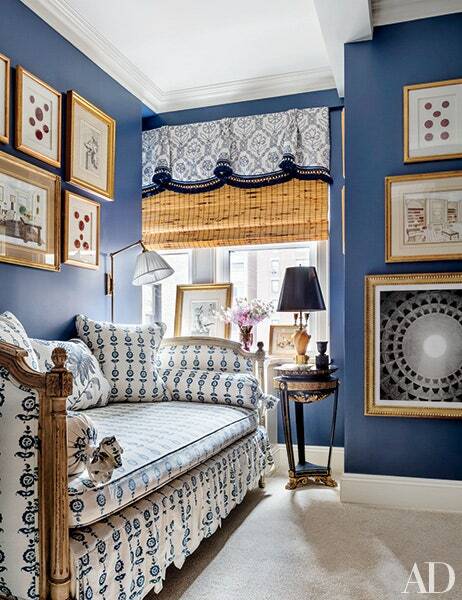 This gallery from Architectural Digest does a great job of showcasing blue and white decor. It’s a timeless combination that never seems to go out of style. I positively love some of the different options they put on the table, and we have all always been fans of the color combo around here. Given the everlasting quality of this color and style pairing, we want to take a moment to show you how you can pair some of these classic styles shown in AD with beautiful cabinet jewelry to give a lasting finishing touch to any furniture pieces you use in your own blue rooms. Coordinating with the beachy style and colored fixtures, the Oceano Suite in antique brass is the best and clearest choice. …and there you are. These examples are from Cal Crystal, Emtek, and Sietto. 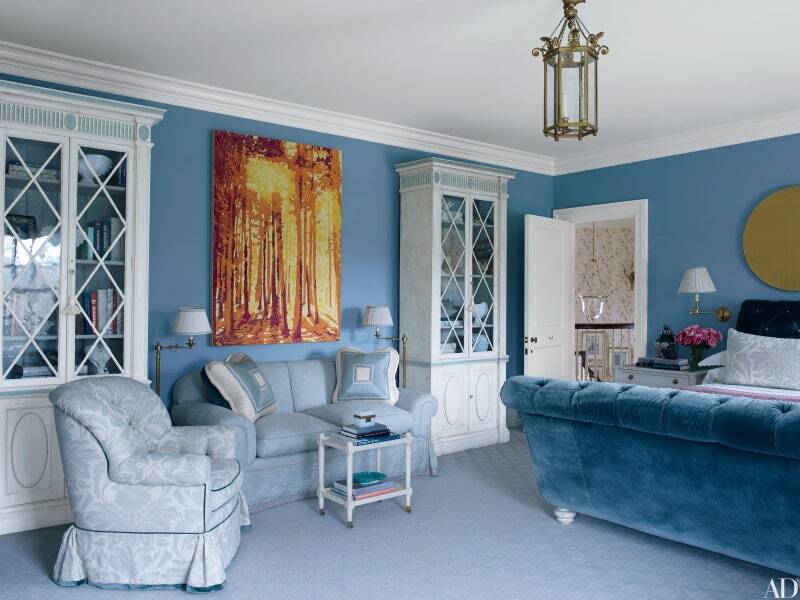 Using tints and shades of a particular blue can be a winning strategy. So as not to overwhelm the contrast in colors, something more subdued might be in order in this space. Simple knobs and traditional handles in satin nickel are, in our opinion, the perfect pairing. You could also go with polished brass to match the light fixtures, if you like (more on that later). Well, if you want to make a statement, high contrast is a way to do it. We have plenty of options in black hardware: perhaps the Colonial collection from Schaub is a good choice. I’ve seen a LOT of articles right now says that white cabinets are out. Well, count me among the non-believers. White kitchens are so versatile and I think they are amazingly timeless. Pair that up with pops of highly saturated blue and all I can say is wow. 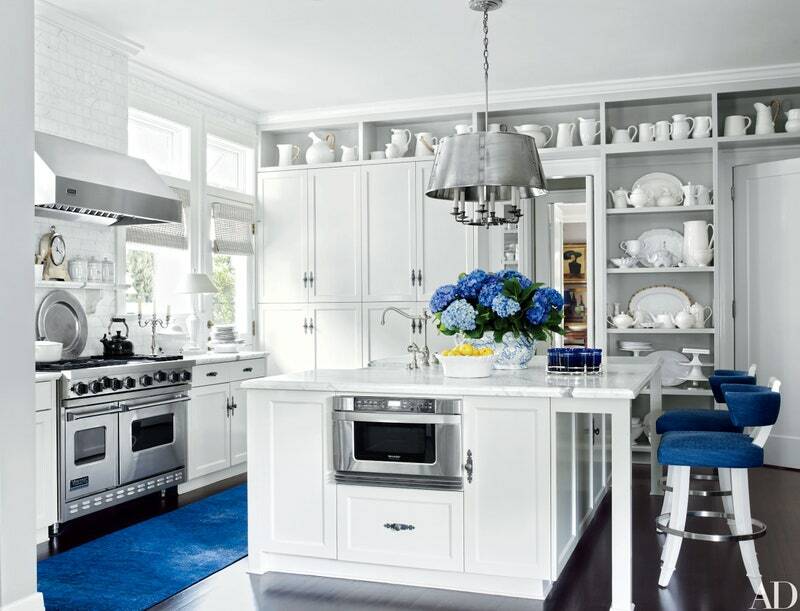 “At the Beverly Hills, California, home of Dave DeMattei and Patrick Wade—the couple at the helm of Lucky Brand clothing—a predominately white kitchen is enlivened by pops of royal blue. The light fixture is by Charles Edwards,” writes AD. …see what I mean? How can you not love this? You might be able to tell that the hardware in that photo is something of a pewter/iron/antique nickel sort of color. While it looks nice with the white cabinetry, I’d be more inclined to recommend something similar to the faucet. These Shaker-style doors pair wonderfully with our Classic Suite, and I’d have to say polished nickel is the perfect choice here. I mean, really. As much as blue and white is a classic pairing, so too are blue and gold. Put the three together and you can’t help but feel like a winner. The classic durability of polished brass is what you need here, and I mean, you’ve GOT to. To us, this is just the epitome of all of the above. Two shades of blue, the lighter of which is now applied to the cabinetry itself instead of a wall… I’m in love, really. If you want the look, our Artisan Suite in polished chrome will finish this one off for you perfectly. And if you need any more proof how good our hardware looks in a blue and white room, just check out some of these pictures from our featured kitchen. Sometimes, figuring out how you want a room to “feel” when you spend time in it can be one of the biggest factors in deciding on a color scheme. Is this space used primarily for relaxation? Entertaining? 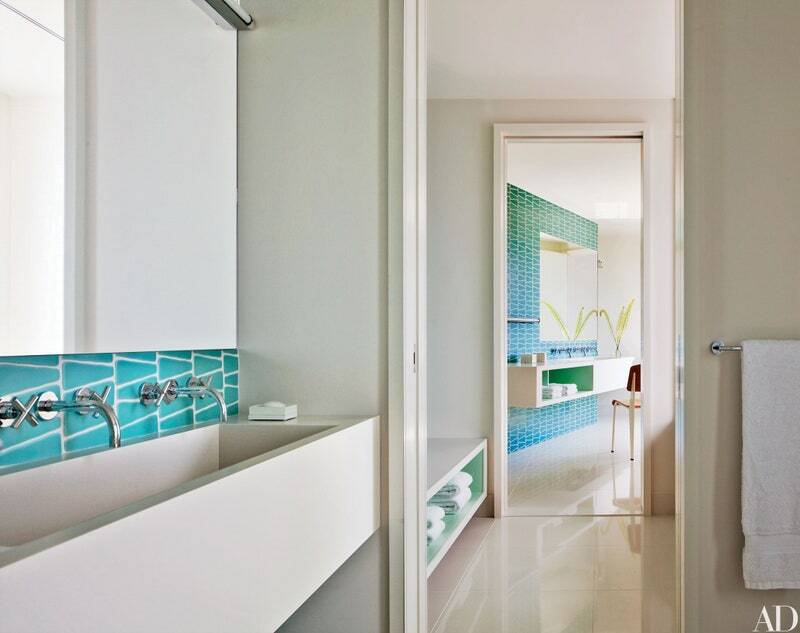 Is it a public space in your home, like the dining room; or a private, personal space, like a master bath? We hope that this will give you some insight into a variety of color schemes to set a mood, and how to use angles, patterns, and accessories to your advantage. “Calm” doesn’t have to mean boring. There are plenty of options out there if you like softer colors but still want patterns or textures in your space. For example, take a look at the furniture above: mostly solid in color, but still textured in pattern, which adds visual and kinesthetic depth. You don’t have to go with all “earthy” colors either—there are plenty of ways to add an accent but still keep the overarching theme of your space neutral and relaxing. Our hardware recommendation: our own Campana or Classic Suites in satin nickel. Of course, if you’re inclined to go outside of the calm box, you can bounce out to some of these lively colors and patterns. You’ll see that a lot of the prints and motifs are similar to the neutrals, but they make use of high contrast to really pop. For example: the pillow with the ivory and brown quatrefoil pattern would change dramatically if the colors were red and white. Straight lines match really well with some of the angular patterns like Greek keys, chevrons, or stripes, so seek out “modern” fixtures, or something older that can be upcycled with a new look. Our hardware recommendation: the Northport or Menlo Park collections from Schaub in brushed bronze. Cozy and natural, a warm palette instantly makes any space feel like home. This combination of russets, golds, and ambers would be especially appropriate, I believe, in the mountains (look at those fireplaces!) or in any part of the country that celebrates a vibrant autumn. I really think that the warm palette is a standout when it comes to flexibility in mixing patterns and colors: if you like “traditional eclectic” style, as I do, then this would be a good choice for you. Our hardware recommendation: anything from our line of Venetian Bronze, but most especially the Oceano Suite. 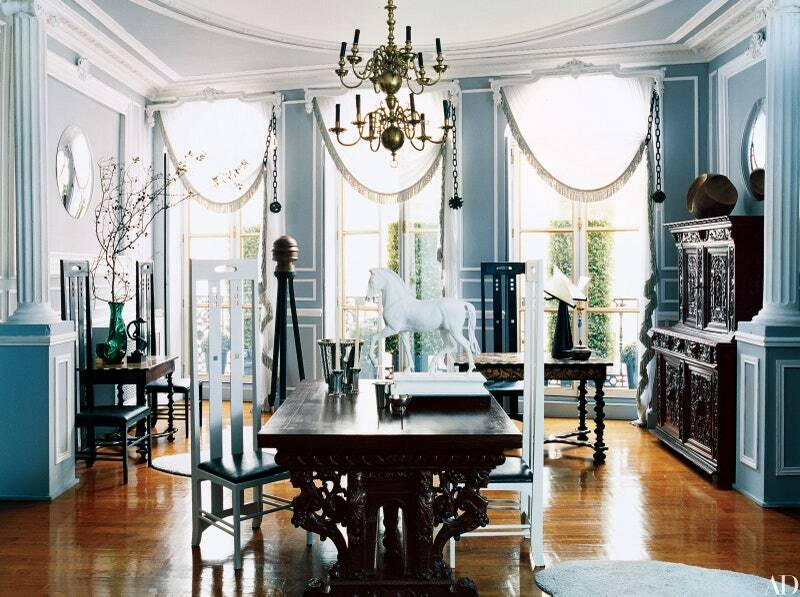 Then again, if you like modern eclectic… go bold and creative. Highly saturated hues are obviously the focus here (I like to call this the CMYK palette!). You can mix and match patterns to your liking, but I wouldn’t go too heavy: you’ll need to be careful that the room isn’t so busy that it makes your head spin! That said, a small piece of an extra pattern (like the hanging lamp) is great for accenting something individually. In the mood for some accessories? Check out flea markets or second-hand stores; they might have just that “little something” you’re looking for to complete your space. Our hardware recommendation: absolutely anything! But if you like colorful knobs too, check out the colored crystals and Athens collection from Cal Crystal, or glass from Grace White and Sietto. By far, this is my favorite palette of the bunch (save the best for last, you know). 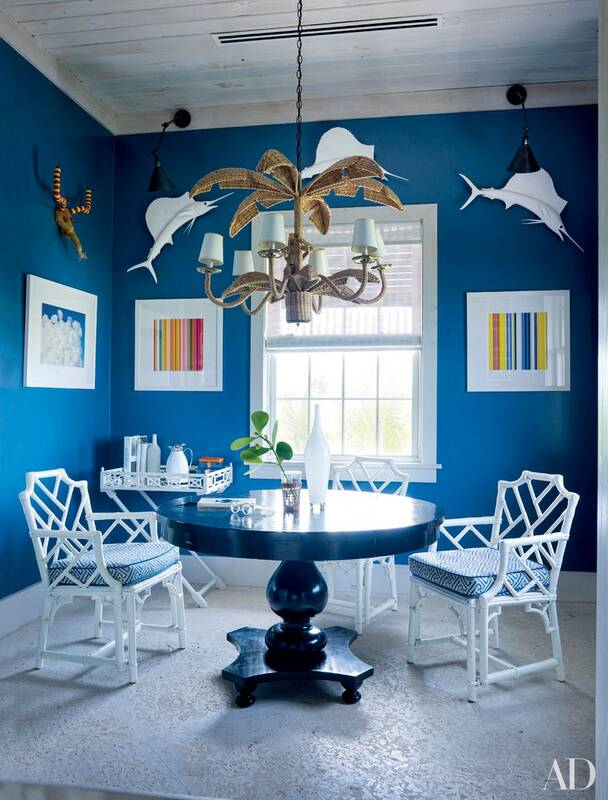 When applied judiciously and in the proper spaces, you can really make a statement with this sort of scheme by choosing a bold, dark wall—whether that means paint on the wall itself (don’t you love that blue!) or cabinets painted with a heavy contrast color, like the black shown above. Classic patterns work really well here: heavy stripe (those pillows! ); heavy check or gingham, if you like that look; or even a more Mediterranean-styled ogee. Our hardware recommendation: without a doubt, it’s the Artisan Suite in either polished chrome or polished nickel. Light cabinets have never been more popular — and it’s no mystery why. From their design versatility and relaxed ambiance to their ability to enlarge the feel of a room, they deliver a singular warmth and glow wherever installed — one that’s timeless and effortless. 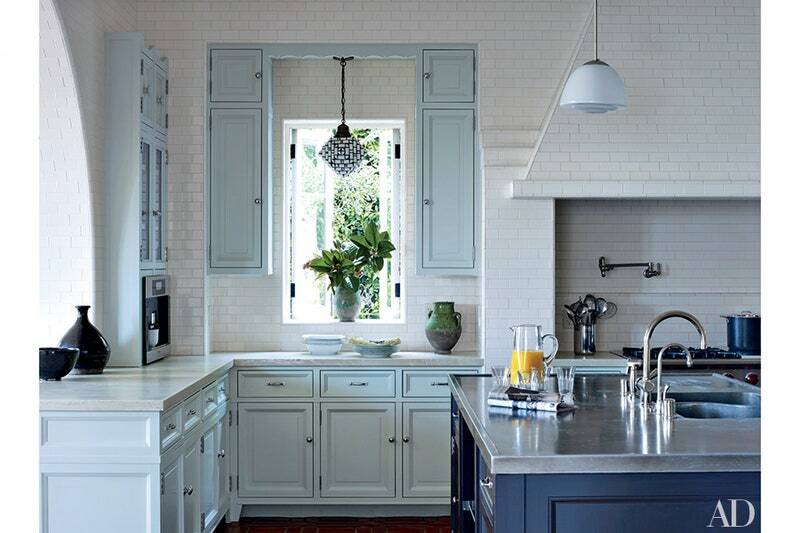 Yet the look of a kitchen or bathroom doesn’t rest entirely on cabinets. In fact, the best designers and do-it-yourself remodelers alike know the importance of nailing the details. When it comes to light cabinets, few details run as important as hardware. Few details freshen up a space quite like new hardware, and it’s no surprise! The glint and polish of their finishes, their metallic sheens and their buffet of styles and shapes harmonize the feel of any space. Plus, hardware exists in nearly every room of our homes. We rely on the ease and functionality of knobs, handles, hinges and pulls far more than we notice — and usually only start to once they wear down. The kitchen is the heart of every home. It is a place of nourishment for the mind, body and soul. A space for friends and families to gather together to break bread, share stories and fill their hearts with memories. From the first rays of daylight to the quiet hours of midnight, the kitchen is the stage upon which many of life’s treasured moments happen. Surely, a room of such significance deserves elegant décor that highlights its importance in the home.